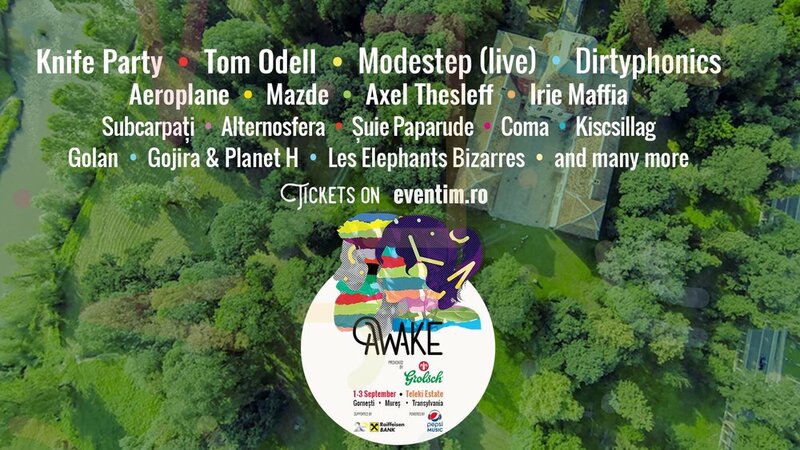 The first edition of AWAKE music & arts festival will take place this year, at the beginning of September. Located in the spectacular natural surroundings of the Teleki estate in Gornești, Mures County, the festival promises not only to bring the live music experience, but also to celebrate different forms of art and the picturesque outdoors: interactive theatre performances, open-air cinema, discussion-driven platform for looking for inspiration and information, library in the forest and many other attractions. Line-up: Tom Odell, Knife Party, Modestep (live), Dirtyphonics, Aeroplane, Mazde, Axel, , Şuie Paparude, Coma, Golan. Check here the full programme of the event.